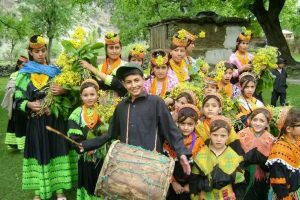 Chitral Valley is known for its hospitality and if you get an opportunity to stay with traditional family in Chitral, it would be wonderful experience. Traditional hospitality is what you should not miss on your tour to Chitral. Cuisine and culture is what you enjoy on your tour to Chitral Valley. Chitral is the capital of the Chitral District, situated on the western bank of the Kunar River (also called Chitral River). The town is at the foot of Tirich Mir, the highest peak of the Hindu Kush, 25,289 ft (7,708 m) high. Another three hours of drive will take you to the Kalasha Valleys which are surrounded by the Hindu Kush mountain range. 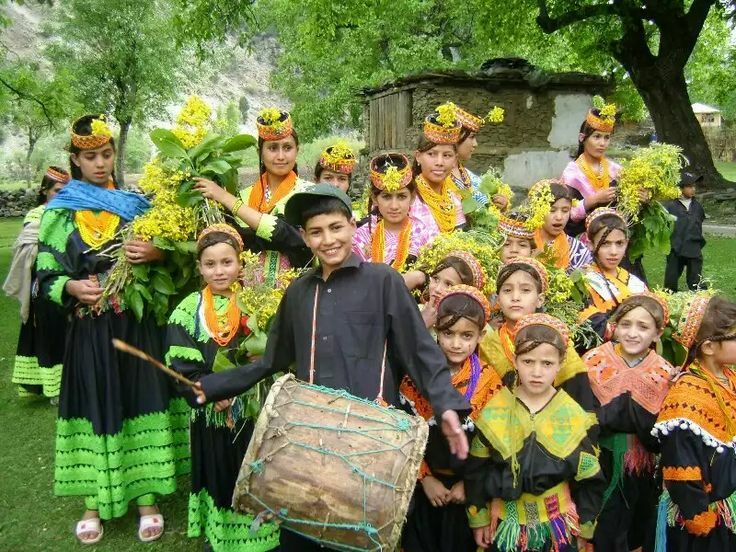 The inhabitants of the valley are the Kalash people, who have a unique culture, language and follow a form of ancient Hinduism. 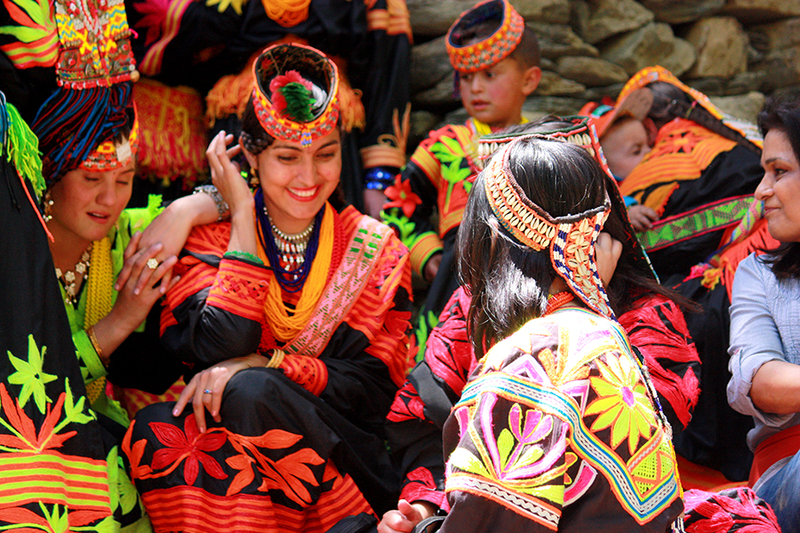 As such, the Kalasha Valleys are a source of attraction for International tourists. There are three main valleys, Bumburet, Birir and Rumbur. The largest and most populous valley is Bumburet (Mumuret), reached by a road from Ayun in the Kunar Valley. Rumbur and Acholgah are side valleys north of Bumburet. The third valley, Biriu (Birir), is s side valley of the Kunar Valley south of Bumburet. 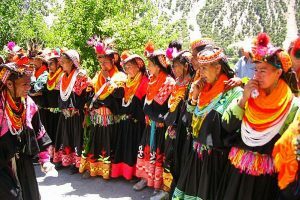 Kalash people are the smallest religious as well as the ethnic minority of Pakistan. Their customs and traditions are contradictory to the Islamic and Pakistani culture. 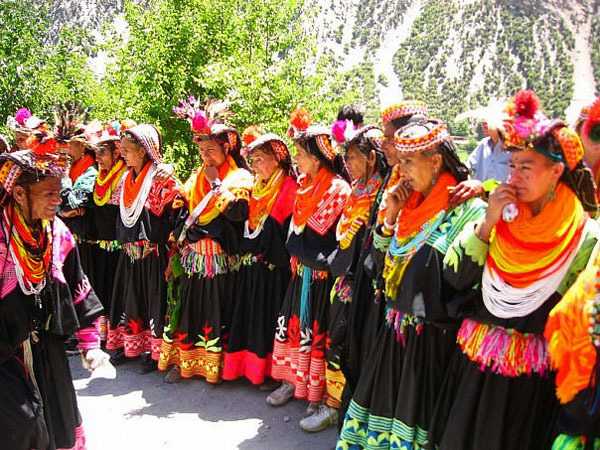 The Kalash religion is polytheist faith and the people offer sacrifices for their gods. Their culture is interlinked with their religion and based upon several festivals and celebrations. The people generally do not intermarry or cohabit regions with local Muslims but neither are they hostile towards them. The people are under legal and constitutional protection of the State of Pakistan as a scheduled tribe. 02 Drive to Chitral via Lowari Pass. 03 Drive to Bumburet in Kalash valley. 05 Drive to Rumbur valley. 10 Drive to Islamabad, arrive and explore the city, in the evening drive to the airport and fly to your destination.